We were very proud to have won the Energy Saving Trust Fleet Hero Award for Best Small Private Sector. As a business we strive to commit to dealing with environmental issues, and we are proud that our efforts have been recognised. Our SHEQ Manager, Keith Fort, is leaving no stone unturned investigating ways to reduce our business mileage and emissions. The measures he has introduced, including tracker systems, satellite navigation and 65mph speed limiters on the fleet of 24 vans, has led to substantial environmental benefits. The Energy Saving Trust helped shape RME’s green vision by pointing out the potential financial and environmental benefits. Part of the focus for using systems such as tracking and vehicle speed restrictions was fuel savings. The use of tracking has also ensured that we maximise customer service by being able to send the closest vehicle to a job and minimise business mileage and emissions. It has also allowed us to quickly identify a simple measure that will potentially save thousands of miles. A field-based employee who carried out electrical testing had to deliver completed test certificates to the head office up to three times a week, diverting him from his journey home. The driver has been provided with a home-based scanning and fax system so certificates can be delivered electronically, saving 100 unnecessary miles a week. Similar measures can be replicated across the business. 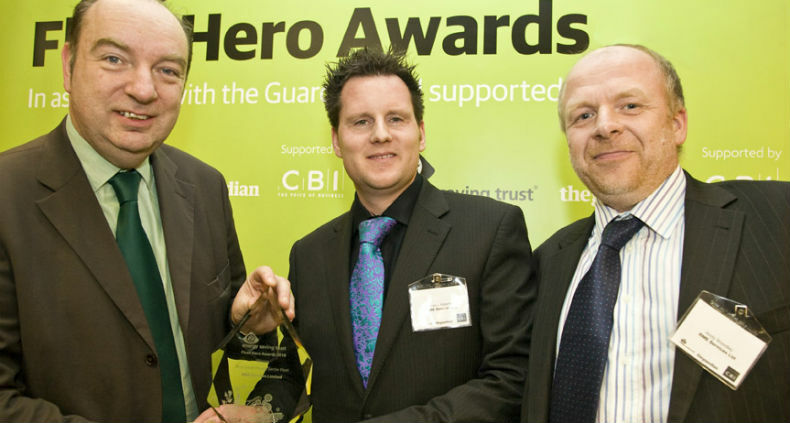 The Fleet Hero Awards aim to highlight best practice in fleet management. The awards aim to acknowledge organisations that are addressing climate change by reducing carbon emissions from business travel. Best practice will be recognised as these organisations demonstrate the way forward in green fleet management. This includes reducing the total mileage travelled, reduced emissions from private cars used on business, used technology innovatively, leading by example, or simply taking a series of sound steps that together have made a big difference. “It gives me a great pleasure to support the Energy Saving Trust’s Fleet Hero Awards and in recognising the great achievements that organisations are making to reduce emissions and costs from their fleets. Fleets play a crucial role in supporting the UK economy, but they also have a key role to play in reducing carbon emissions from road transport.